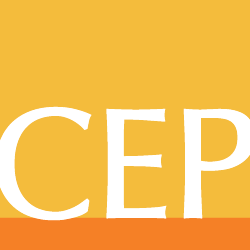 Cambridge, MA—The Center for Effective Philanthropy (CEP) released a new report today demonstrating that foundations that use the organization’s Grantee Perception Report (GPR) more than once are making changes that are benefiting the organizations they fund. CEP’s report, Can Feedback Fuel Change at Foundations? : An Analysis of the Grantee Perception Report (.pdf), reveals that foundations that use the GPR – which is based on a survey of a foundation’s grantees – a second time receive substantially improved results, on average. To reach its conclusions, CEP analyzed data from tens of thousands of nonprofit grantees surveyed since 2003 in conjunction with the GPR process. More sobering, however, is the fact that there is little change over the years in results of foundations coming to CEP for the first time. This suggests that foundations in general haven’t improved their practices in the eyes of their grantees, even as those that repeatedly use the GPR have. The report highlights in particular the efforts of two foundations that have substantially improved in the eyes of their grantees: Endowment for Health and the Robert Wood Johnson Foundation (RWJF). “If our relationship with our grantees is wanting, then it’s going to impact negatively our ability to accomplish the kind of goals we want to accomplish,” said RWJF President Risa Lavizzo-Mourey. In addition to describing the data analysis and profiling foundations that have made changes, the report identifies four keys to driving change as a result of the GPR, based on CEP’s experience delivering results to some 200 foundations. Along with the report, CEP also released today more in-depth profiles of the changes made by Endowment for Health and Robert Wood Johnson Foundation as well as a profile of the use of the GPR at the Richard M. Fairbanks Foundation. Ellie Buteau is vice president-research at the Center for Effective Philanthropy.